Market Deeping seconds will win the title and promotion from South Lincs Division Two if they beat Heckington at Outgang Road on Saturday (1pm). Unbeaten Deeping require just nine points from their final three matches to seal top spot. Deeping’s senior side has already clinched promotion from Rutland Division Two. 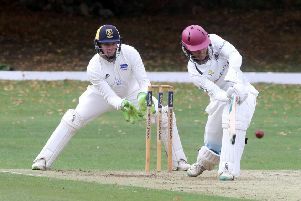 They are just a handful of points away from securing top spot after last weekend’s game against third-placed Ufford Park was abandoned midway through the first innings. Uppingham won Division One for the first time since 1987 after picking up a couple of bonus points from an abandoned game against Nassington.